Only accepting application’s for Boy’s Cabin Counselors. Hello! So glad you're interested in learning more about becoming a counselor at Beam. Please spend some time looking at our website and checking out some videos on our YouTube channel. Below you'll learn more about Beam and the role requirements. If you have any questions, or are wondering about other opportunities to work at Beam Camp, click here and send us an email. Employment Dates: 7/3/19 through 8/5/19 Please be sure to explore our website and read the job description below before applying. Beam is a summer camp in Strafford, NH that focuses on skill-building, collaborative challenge, responsibility and mentorship. Campers ages 10-17 collaborate on a spectacular project, which helps kids explore what it means to make things with their own bodies and brains and how that kind of creativity is relevant and applicable to everything in their lives. They transform ideas into artifacts and personal achievement into community success. They also have a lot of fun. The centerpiece of the program is the Beam Project. Each summer, Beam commissions two unique large-scale collaborative endeavors, ranging from the conceptual to the structural, built by self-directed camper teams with on-call support from staff. Beam has two lakes and sits within a 750 acre conservation reserve of mountain and forest. Among Beam's resources are a well-equipped fabrication wood shop, digital lab, art/ceramics studio, basketball court, two large athletic fields and outdoor fire pit. The core of the bunk Counselor’s job is caring for, managing, and leading their cabin of 10-12 kids with a co-Counselor. 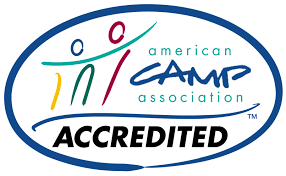 Counselors work to ensure the safety and well-being of their campers through constant communication with campers and staff, providing structure for their cabin, and creating a supportive and respectful atmosphere in the cabin. Counselors also help their Campers maintain a clean living environment and healthy personal habits. Beyond the cabin, we ask Counselors to think and act as “lead learners.” Beam Camp is an opportunity for all of us to grow, Campers and Staff alike. By creating an atmosphere in which we are open to experimenting, learning, and making the occasional mistake, we provide the Campers with a safe space in which they can challenge themselves. In order to be open to learning, we are not just watching Campers, but engaging in the activities with the Campers. Counselors participate in all Program areas, either as leaders, collaborators or in a supportive role. Program Areas include the four Beam Fundamentals (Project & Building, Design & Prototyping, Electronics & Computing and Craft & Materials), Independent Work (self-directed projects by campers supported and guided by staff), Community Work (cooking, gardening, and maintenance), Project (our session-long ambitious undertaking), Domains (subject-specific workshops), Pulse (swimming, sports and active play), and After Dinner (a daily post-dinner event when campers perform, play/invent a game, have campfires, and more). While the Counselor can always expect to be actively participating, he or she needn't have preexisting skill in these areas but any relevant experience is a plus. We welcome applications from those who have a lot of experience working with children and those may be newer to it. A Beam Counselor should have something in their life that they are passionate about, be caring, curious, eager to share, and have an interest in working with children. Our most successful counselors are open to new experiences -- social, creative, and work-related -- and have the energy and focus to sustain themselves through a month of intense physical and emotional work. And you should be 19 years of age or over. This position involves long hours, a good deal of physical activity, and a lot of social interaction. It does not involve a lot of personal time or personal space. Counselors have one day off per week, a one-hour break during the day, and every other night off (after lights out for campers). Providing the best possible and most productive experience for our Campers is as creatively, physically and emotionally demanding as it rewarding; counselors need to have the ability to manage the stress that accompanies this mission.